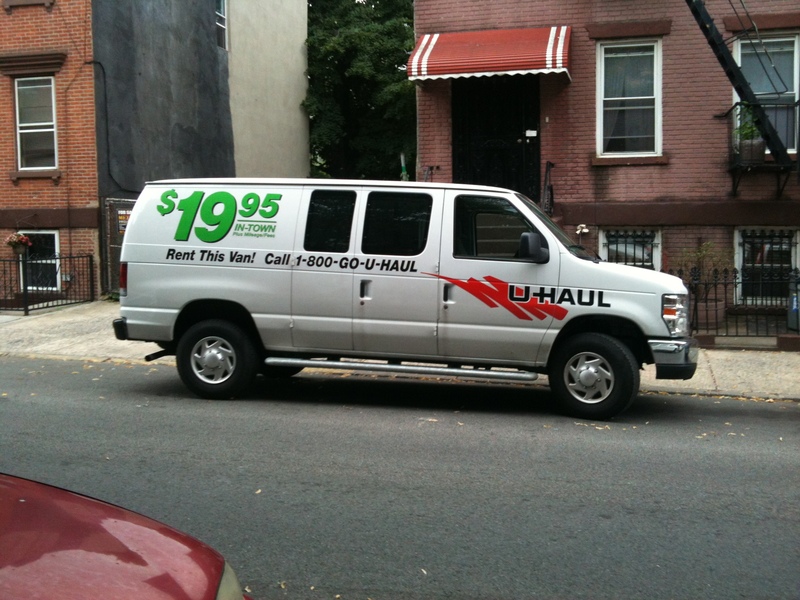 It goes without saying that right now, as you read this, somewhere out there in those United States of America, at least one van is being used as what I–and I’m sure many others–have coined, Abduction Vans. Yep, if you do the math, and I haven’t, but if you did the math, I’m sure you’d come to the same conclusion. 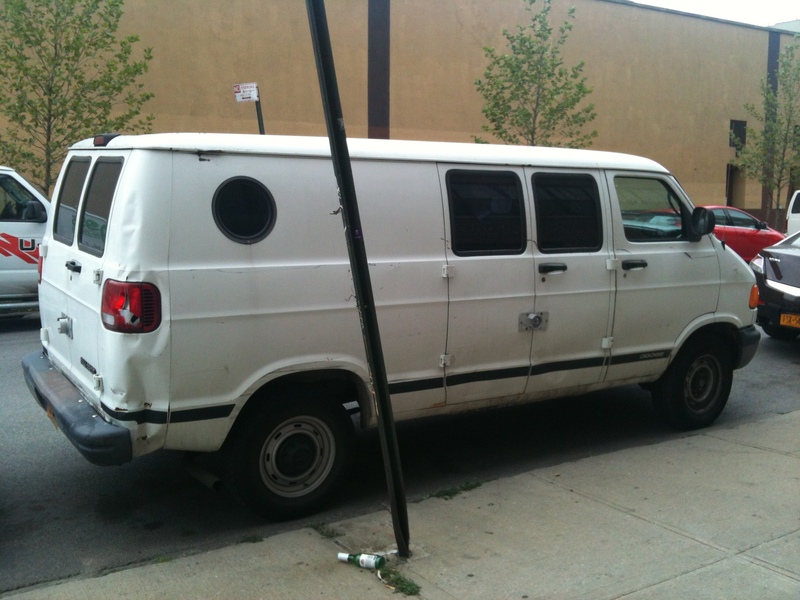 Below is a collection of all sorts of Abduction Vans that predators, mafia, kidnappers, the world’s most twisted souls and those who aspire to be them, might be using right now for a whole host of different reasons. 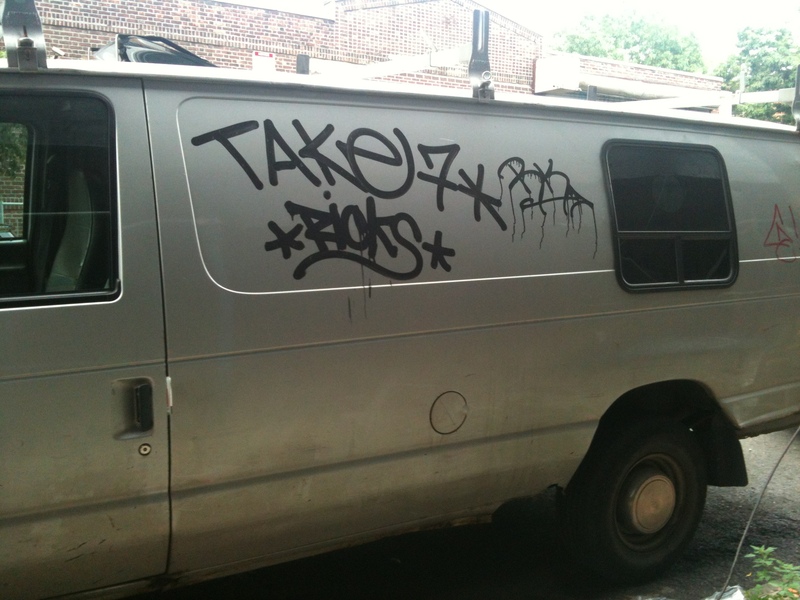 I was kind enough to scribe at least one reason that each of these Abduction Vans is special underneath each photo representation. It was my pleasure, so sincerely, no thanks are necessary. 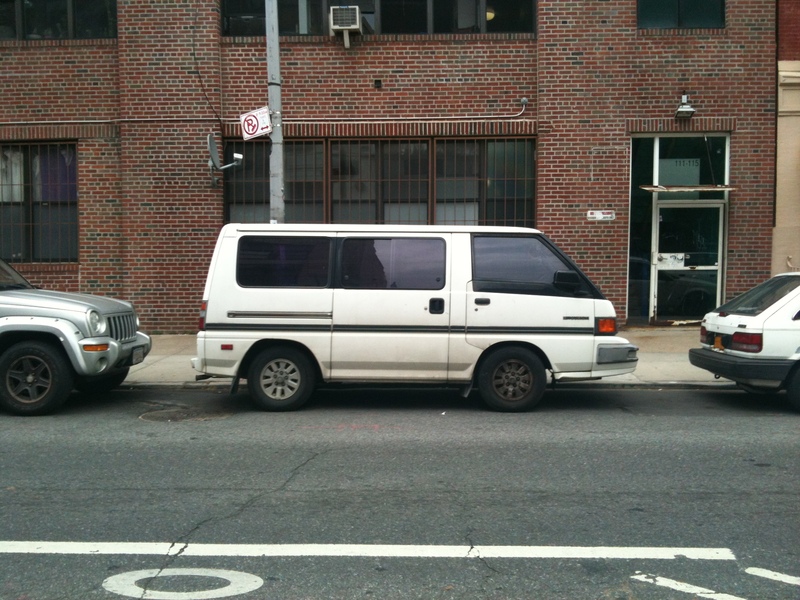 I take great comfort in knowing that you’ll now join me in never being able to see a van as simply just another van. Oh, and yes, it goes without saying that each shot snapped put me into harms way, even as hundreds of hipsters were milling about the same streets of Williamsburg. No predator likes his methodology of abduction photographed, and they certainly don’t care for the careful analysis of the reason or reasons for their choice of vehicular man-slaughterers. 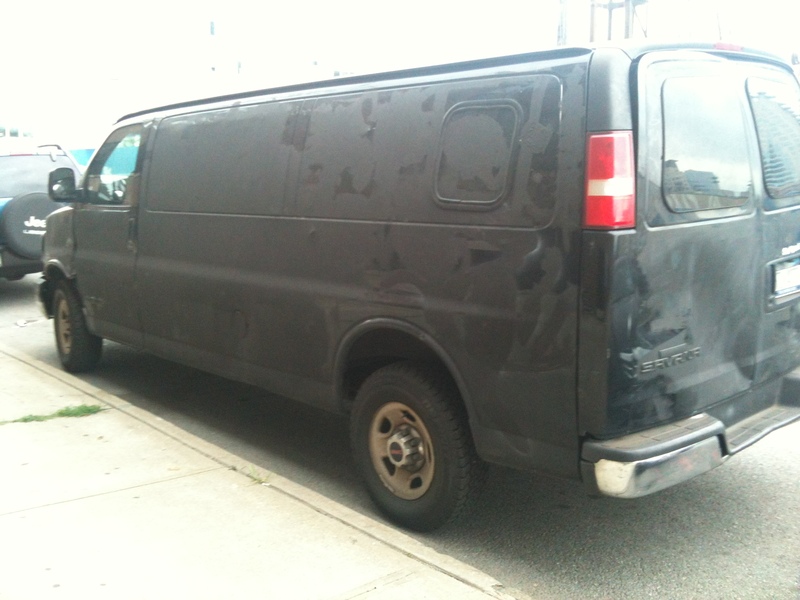 With the exception of the industrial locks (a must) and the extended cab (a nice touch for the abduction of more than one) I’d say this is your standard everyday run-of-the-mill abduction van. Complete with creepy, almost-useless, tinted circular window that comes standard in most AVs. 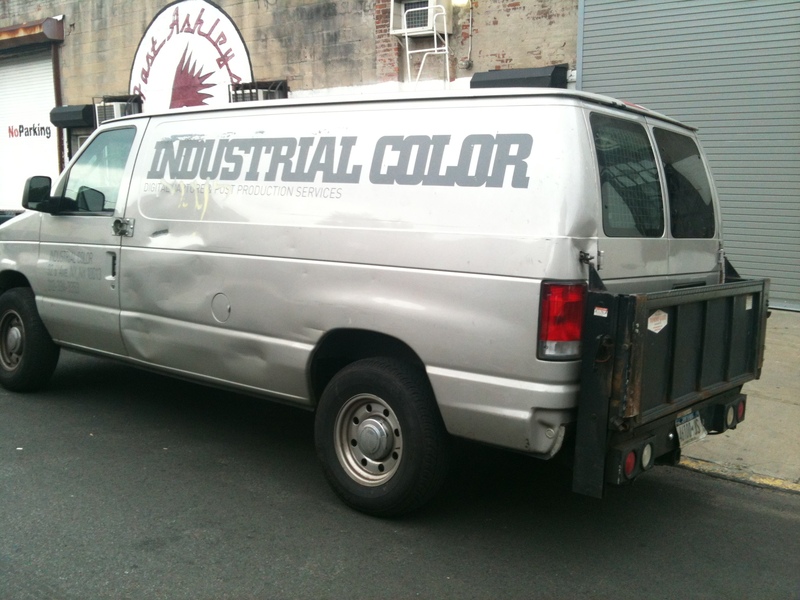 This darker colored model comes complete with an almost completely illegible company name, in this case for a supposed Locksmith. Nothing says, “I’m totally not trying to throw anyone in my van for later-date-torture,” like faded/peeling low-brow blue-collar Americana signage. Nothing. This sinister ride comes complete with not only the decoy signage, but also a heavy-duty gate lift for those predators who prefer bigger-boned folks to quench their blood thirst. The truly bold fiends apparently aren’t beyond telling the world exactly what they’ve done, or perhaps announcing their intentions. This predator has either already taken 7 Ricks, plans to Take 7 Ricks, or is only allowed to Take 7 Ricks in total or all at once. Why bother securing a facility to store your abductee or bringing him or her back to your spiffy, OCD-clean apartment? Maybe you like Mother Nature and are feeling like performing your cerimonial amputations in the great outdoors. You’ll need a Camper Abduction Van for that. Heck, you can scoop someone up and hit the road for quite sometime–putting ample distance between the two of you and their loved ones as well as the search party they’ve surely formed back home. ROAD TRIP! 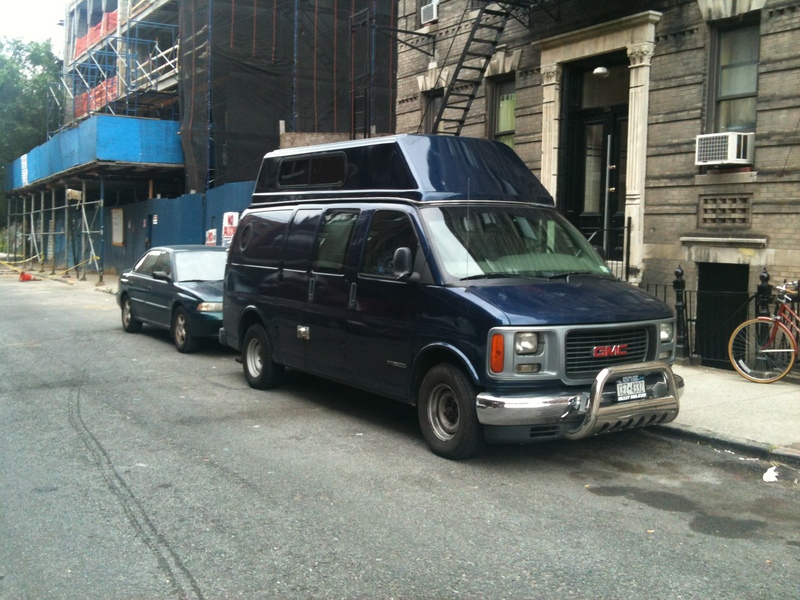 A sure fire way to keep suspicion of your misdeeds to a minimum is to perform your abducting in a van too stupid looking for anyone to suspect anything other than the notion that you have abysmal taste in modes of transportation. Nice play Ol’ Boy! 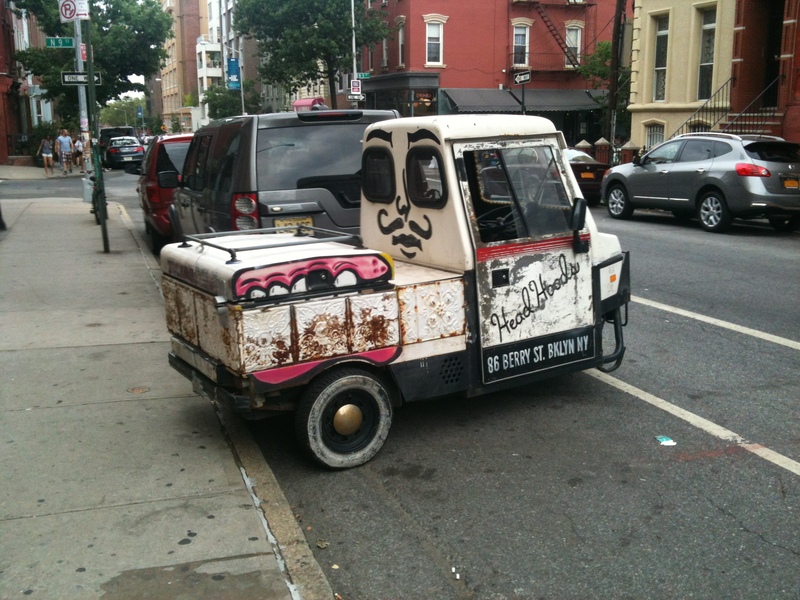 This one might appear to be just another fake-company van, but it is actually soooo much more! 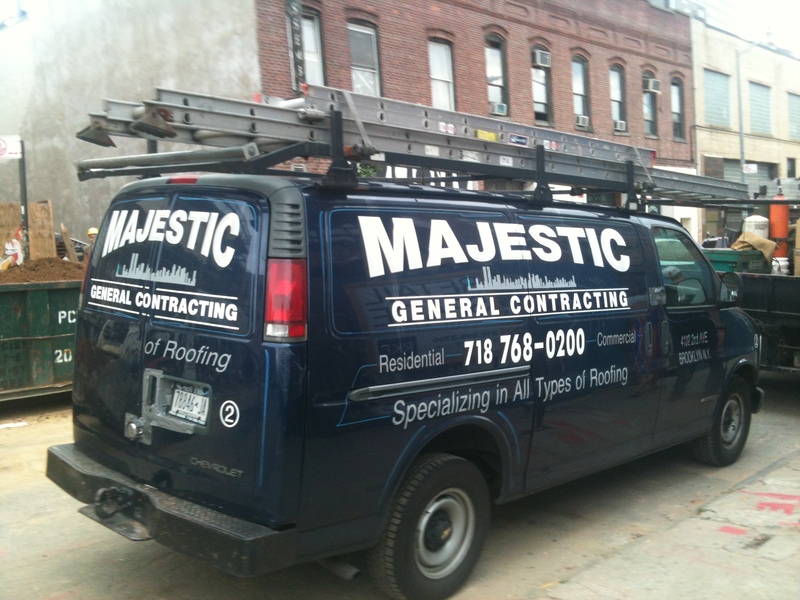 A van that features a wonderful word, in this case, “Majestic,” plants a subliminal brain-clouding worm of doubt, creating feelings associated with the meaning of lovely words, before potential worry-warts can even get their paranoia going–leaving them feeling fuzzy and wonderful inside even after you’ve snatched them! 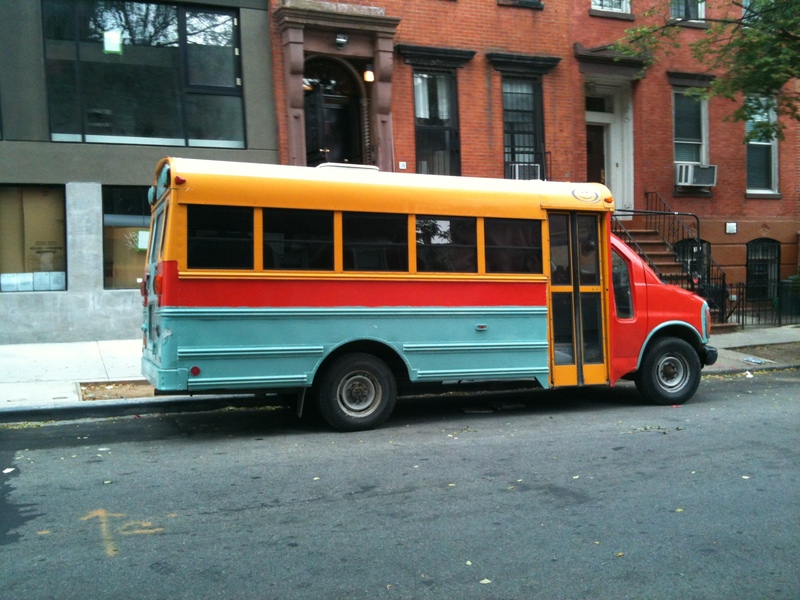 Interested in grabbing tons of tikes off the streets or old relics of bygone eras that are fans of The Partridge Family? Or Both? This is the abduction dream you’ve been waiting for! Maybe you just want to try a few first with tiny dogs or cats before you make the big leap and pricey, but necessary, purchase to go after bigger game. Why not a make a few bucks advertising local businesses on the side of your pre-human-serial-killing-exploits dream machine?! 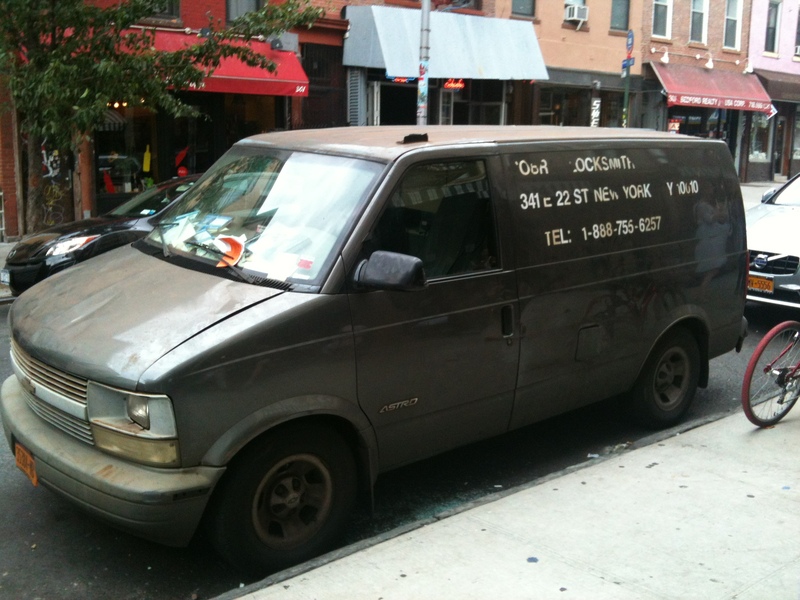 And finally, and exactly how I’d roll personally–if I had any intentions of joining the time honored tradition of People Hunting for Sport–the Abduction Van that absolutely screams, “I am an Abduction Van,” so loudly, in fact, that any passer-byers will immediately dismiss it as far too obvious without ever giving it a second thought. Though, I can assure you I certainly gave it one, if not two, or possibly six more thoughts before I got home.